"I have nominated you for a blog award." Probably the best comment you could receive on your blog, right?? I was very excited, I mean me, a blog award! I have only been rambling on here for 6 months - really an award? A lovely wee logo but what does it mean? I was nominated by Miya Loves a pretty blog following the Life, Loves & Likes of a blooming beauty. She has beautifully outlined the rules of the award. I have to answer some questions & pass it on. Right. I was then also nominated by Teaching with a Fashion a fashion loving third grade teacher. 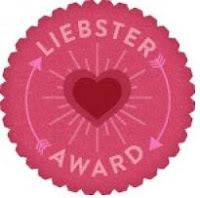 On her blog she explains the origins are a mystery but that Liebster means "favourite" so it's like nominating your favourite blog. Great. It's an award nice award from where, who knows but pass it on to your favourite people. What a lovely idea!! The cynical me just couldn't rest with that so off to google I go! 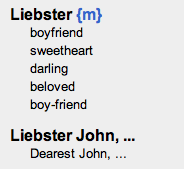 Okay so the dictionary I looked up said Liebster was German & definitely a word of endearment. Go to the blogger page & let them know you have nominated them! Kinda like a tag game, or link up but with a pretty button & a massive acceptance speech! Bear with me guys - it's for an award. I was a highland dancer for 11 years. PHEW - that was harder than it looks! Decided you have to go to her blog to find out the questions, more fun having random list of answers!! I have 3 penalty points on my driving license! Now to ask my 11 questions - I feel a mix of these two is perfect! Are you a Dancer or a Singer? Do you prefer online or in store shopping? Diet Coke or Pepsi Max? Now to pass it on, to 11 blogs that deserve a real award! Check these ladies out. Please note you if you are on my list I think you are a darling, a sweetheart. Please remember that when you start writing your acceptance speech!! Thank you - I was very happy to do this post! Congrats on your award & thank you soo much for nominating me :) I really appreciate it! Your very welcome! I went through my reading list & picked out some great blogs to nominate. Loved you post, thanks for taking the time to answer the questions! You are very welcome, thanks for taking the time to post about it. Believe me I know how much work it took!